This was a very interesting column about the recent announcement by Chick-fil-A that they no longer are financially donating to the right wing-organization that is anti gays and lesbian. First, she is from the South and grew up with this fast food chain. We had one in Lubbock-awful-Texas where I was cursed to be born. I ate at occasionally as a kid and it was good. But I never thought of it as not as good as Whataburger, Kentucky Fried Chicken, Taco Villa or the quasi-fast places like Chinese Kitchen (is it still there?) or a couple of barbeque haunts. Certainly, in my mind, Chick-fil-A never came near to the premier fast food experience of my life: In-N-Out, once I moved to California in 1985. 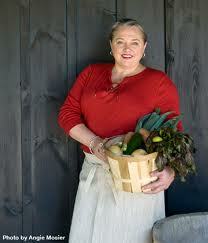 Second, the writer, Virginia Willis, considers Chick-fil-A to be a cut above the typical fast food chain fare. Willis by the way has a distinguished pedigree having trained at L'Academie de Cuisine and Ecole de Cuisine LaVarenne. For fellow "foodies" who worship the fine art of eating, she poses a very interesting dilemma. The problem is that her passion for the food at the former (apparently) gay-hating Chick-fil-A makes her want to return as a customer. Reading her column also made me want to try it again after several decades. But I feel conflicted just as does this writer and slightly different, yet, for the same reasons. If you are pro gay, what do you think about this column and the dilemma? Should Chick-fil-A be forgiven? Are they really sincere? 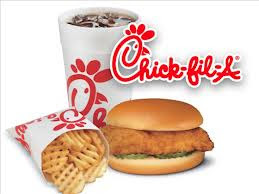 If you're a supporter of gay rights and a lover of Chick-fil-A's food, should you be forgiven if you satiate your lust for the food at the food chain since they have offered a quasi mea culpa? I am a devotee of the great show on tv "What Would You Do?". I'm lucky - where I live, Long Island, NY, there are no Chic's so therefore no dilemma. However, when I lived in the DC metro area, I would eat there ofter and being in retail (District Manager) I admired a company that had policies that were devoted to their employees as well as their customers. When given a choice I try to support businesses that are in it for more then just the shareholders and that give back to the community. When I sent a letter of disappointment to Chic I said I wouldn't be back and that I was said that my money wasn't going to help all of Chic other fine policies and asked if they thought that supporting hate was worht not only the loss of sales but what the loss of those sales means to their other goals. I won't be back for at least another year, even if one were to open locally, and will review my decision again then. Sean, I tend to you agree with you. To maybe give it a little more time before assuming they've really changed their ways. Especially because they were so voracious ant-gay in public a few weeks ago. Thanks for your comment. LOVE your blogs, BTW. Didn't know about the foodie one. I'm going to be trying some of your recipes out in the next few weeks.